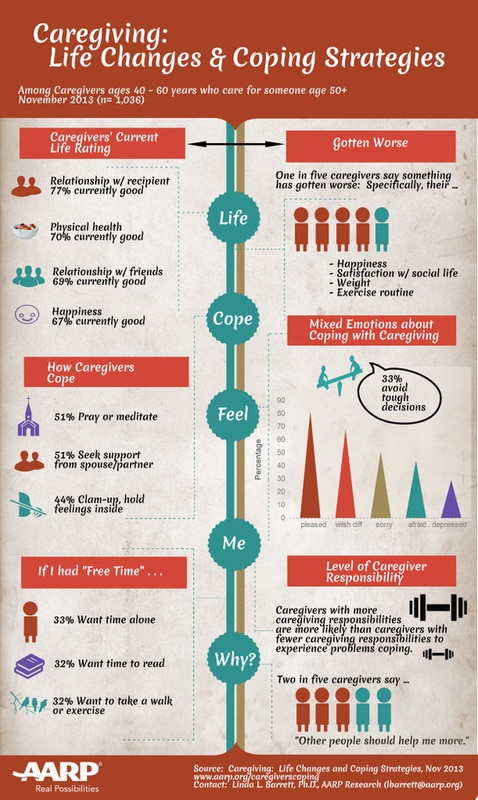 in support of National Caregiver Month (November) I want to share a couple info graphics that really summarize current understanding of caregiving. National caregiving month started in 1997 by the National Family Caregivers Association and began as a week of acknowledgement during Thanksgiving. Now, it has evolved into a month-long celebration of family caregivers! 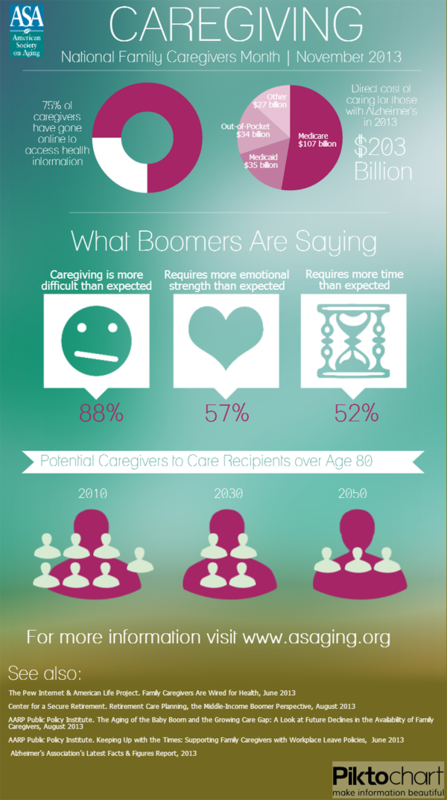 Take the time to read these infographics and appreciate the contribution made by family caregivers! much love. To keep all your info in one place. Log essential personal information, like insurance; set up a calendar for caregiving events; manage medications, create a contact list, and keep a medical history log… also you can share information with family members under tight security features. For the Alzheimer’s caregiver. It offers reference and information, caregiving advice, medication management features, and up-to-date news on Alzheimer’s disease. There is also a “doctor diary” for logging symptoms and taking notes that may be relevant to the next visit. To share. Invite family and friends to join you as “helpers” and create a shareable task list, journal, pictures and recorded voice message. To keep track of meds and symptoms Keep a profile of the person you’re caring for and basic symptom tracking system. You can also track medications. To manage medications. Track doses, dosage, refills, and missed dose instructions. Includes a guide to over 15,000 drugs and sends FDA alerts for recalled medications. To maintain productivity in multitasking. Features include to-do lists, journals, excellent tracking methods, and easy ways to share information with family members and friends. To get expert advice. Advice categorized into 10 eldercare topics. You can add your own notes to any of the tips. This app serves as a great resource of information and advice for caregivers. For day-to-day and emergency needs. All content from the American Heart Association. A great resource for immediate first aid and CPR needs. Also, check out more of my favourite apps for Parkinson’s, from the World Parkinson Congress and National Parkinson Foundation. Do you have any more to add to the list? Let me know in the comments below! much love. I prefer to call this relationship a “care partnership” because I believe it is one that is truly reciprocal. As a person with PD adjusts to physical changes and, at times, to changes in personal independence, the care partner must learn to adapt to a different relationship dynamic and perhaps to greater “ownership” of duties that their partner had previously handled. Even though you didn’t sign up for this role, it doesn’t mean you can’t be GOOD at it! Remember: SELF-CARE IS NOT SELFISH!